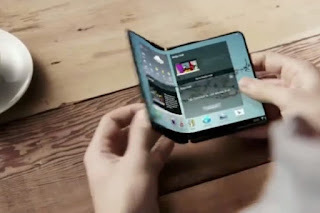 Foldable Screen Smartphone Gadgets Smartphone Trends Smartphones The Foldable Screen, The Next Revolution For Our Smartphones? The Foldable Screen, The Next Revolution For Our Smartphones? A foldable screen for a smartphone? Samsung has been talking about it since 2013. This time, would it be the right one? A priori, it will have to wait a little longer. This old sea serpent is to smartphones what virtual reality was to video games: the foldable screen will it be the next (r) evolution for smartphones? This is suggested by the rumors circulating around Samsung. The group had already more or less mentioned the idea in 2013 . 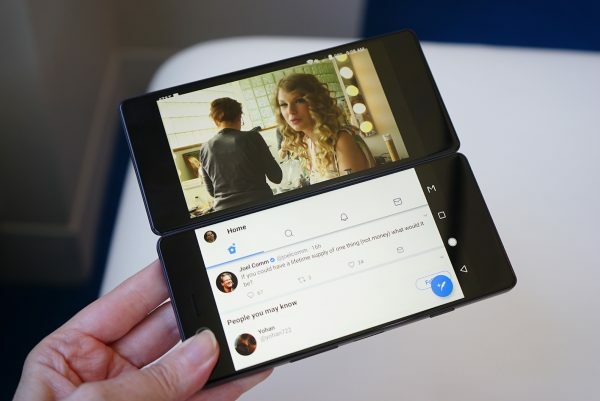 Since then, almost every year, the idea of ​​a foldable screen smartphone has resurfaced. Already in 2017, there were rumors of several patents filed by manufacturers, including Microsoft, Samsung, LG, Nokia, Xiaomi. Then finally, the end of the year has arrived and foldable screen point. But this time, at the CES in Las Vegas, a major meeting of electronics that was held in early January, some privileged could have got their hands on the first prototypes of the Galaxy X (if that remains his name), reports ET News . And the rumor came back again like a boomerang, fueled by the words of Kim Tae-woong, Chief Engineer of Samsung Displays, who said last April: "The screens without borders are selling well for the moment, it leaves us time to develop a foldable screen.The technology is expected to mature around 2019 ". According to the specialized site Cnet France , DJ Koh, director of mobility branch Samsung, would have added a layer at the CES in Las Vegas, saying: "We want to have good feedback from customers once the phone will be on the market, but there are still sustainability issues to be resolved . " Samsung seems to hold the rope and production of Galaxy X should begin in November 2018, according to Korean Herald.com . However, this seems rather optimistic. Concretely, what will this foldable smartphone look like? That's the whole question. Samsung has filed several patents, identified by the website Let's Go Digital . 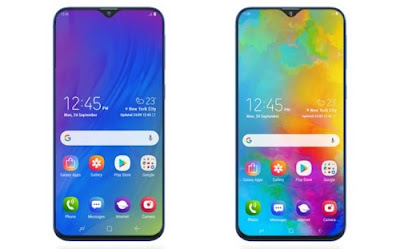 It could have a screen wrapping the phone and that would cover the front and back. In short, for now, this Galaxy is very mysterious. Perhaps Samsung will lift a corner of the veil at the World Mobile Congress in Barcelona, ​​which runs from February 26 to March 1. Unlikely, according to Forbes magazine , which assumes that the giant will not want to parasitize the announcement of the Galaxy S9, which is expected for 2018 . Especially since 2013 that we hear about a possible collapsible smartphone from Samsung, we are no longer a few months.